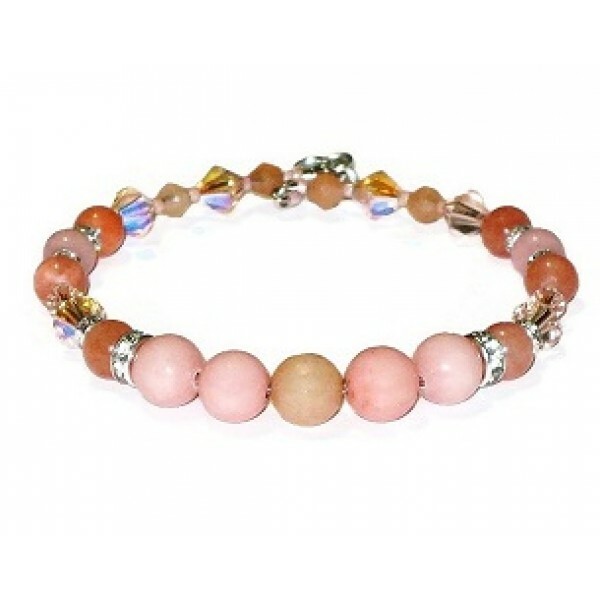 This peach and salmon bracelet features jade beads throughout the bracelet that are accented with Swarovski crystals and rhinestone spacer beads. It is made on expandable wire and has a silver-plated lobster clasp. It can be extended from 7 to 7 3/4 inches when using its extender.